Private Practice. Academic Practice. It used to be a straightforward decision as the end of training loomed in the distance. It is a common enough query, a conversation starter as you scrub with your attendings through training—will you pursue an academic career, or are you heading in to private practice? How to decide? What to consider? What does it mean? What used to be a simple fork in the road of a surgical career, with the occasional chance to jump the track from one path to the other, is now much more complex and nuanced than ever. Lines have blurred, the business of medicine has evolved, and this just isn’t so simple any more. Academic practices are increasingly aware and mindful of the business side of medicine; and fewer private practice surgeons are working in the traditional independent solo or small group setting, instead are joining large multispecialty groups or becoming employed. As these payment/employment models change, so have the ways a practice might be accurately described. Urban tertiary center, rural critical access hospital? Teaching affiliate or independent community hospital? Large multi-hospital system, or stand-alone hospital? These lines don’t always break along simple academic practice versus private practice lines, either. What does it mean to be a private practice surgeon with an academic appointment/affiliation versus the academic department surgeon, teaching residents at a tertiary hospital? What about the surgeon practicing in a suburban or rural hospital, how will she make the decision to remain independent or accept employment by the hospital system? There are many more permutations and models out there and distinguishing among them has become more difficult and nuanced, and it will likely continue to become more complicated. Data from 2012 suggest the trajectory of trends which have continued or even accelerated. The American Hospital Association demonstrated that the number of physicians employed by hospitals in 2012 had increased by 32% compared to the year 2000. In the December 2012 Archives of Surgery, surgeons who report being self-employed (the traditional form of private practice) decreased from 48% to 33%. There are many factors to consider about a life in surgery beyond training, and important among these are the type and style of practice to pursue and enjoy. It is also important to consider the setting which will help foster and maintain the joy in practice, and allow each surgeon to fulfill her calling to her utmost ability. The challenges of practice—clinical, education, practice management, compensation; and the challenges of the career—maintaining wellness, pursuing outside interests, family, avoiding or mitigating burnout, are significant and can seem daunting at times. When faced with these challenging and divergent paths, we can find support and mentorship in others who have navigated these decisions in the past. Please join Dr. Sasha Adams and the AWS Clinical Practice Committee to discuss “The Challenges and Opportunities of Private Practice Surgery” on May 14 at 8 pm ET using the hashtag #AWSchat. We will share our perspectives and experiences with those who continue to chart their career course, and those who are just beginning the journey. Psychologist Dr. Hilda Davis will also be participating as our special guest to offer tips on how to maintain wellness even when stressed. Dr. Kathryn A. (Kathy) Hughes, FACS is a General Surgeon, hospital-based/acute care general surgery. 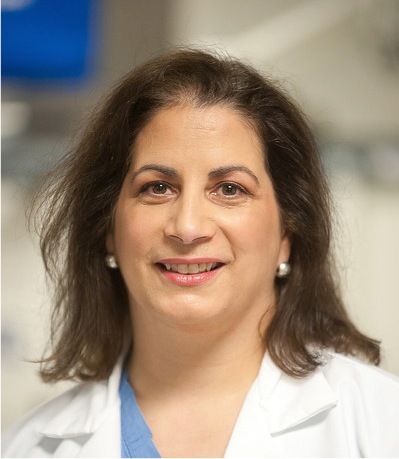 She has spent the majority of her career in private practice in community hospitals, where she has had leadership roles as Chief of Surgery and Vice-President of the Medical Staff, as well as multiple hospital committee appointments. In addition to the ACS and AWS, she is a member of the American Society of Breast Surgeons, the AMA, and the Massachusetts Medical Society, where she represents the Barnstable District in the House of Delegates, serves as Chair of the Committee on Women in Medicine, serves on multiple committees and task forces, and is an alternate delegate to the AMA representing the MMS. She currently resides and practices in Cape Cod, Massachusetts. You can find her on Twitter, Facebook and on her page Behind the Mask.